Hello everyone! 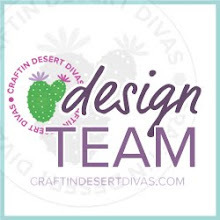 It's Jana from CHB Creations and today I am stopping by to bring you the CDD Daily Post. I have created a super sweet planner dashboard along with two fun spring time planner clips. With all of the cold Winter weather and storms we've been having lately here in New York, I can't wait for the arrival of Spring. 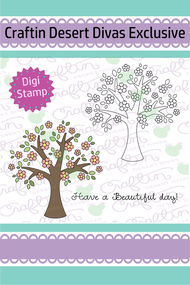 I used the "Beautiful Day" digital stamp for my dashboard. I used the beautiful tree as my main focal point and took the sentiment, "Have a Beautiful Day", copied it and placed it as a border on each side of my tree. Because I did not like all of the white space surrounding my image, I used a polka dot stencil and distress inks to create a soft border. 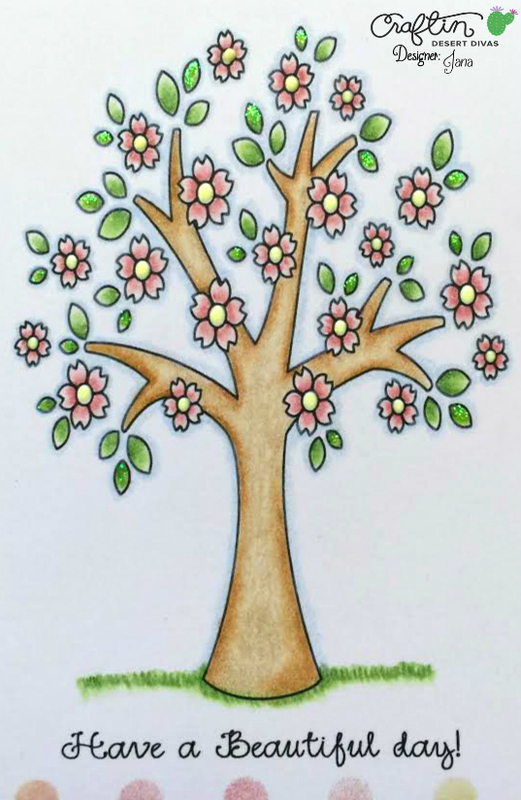 I colored up the tree using Prismacolor Premier Colored Pencils. 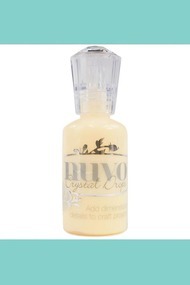 To give my tree a bit of life and interest, I added a small drop of Nuvo Crystal Drops in the center of each flower. I also added a tiny amount of Stickles to a few of the smaller leaves throughout the tree as well. 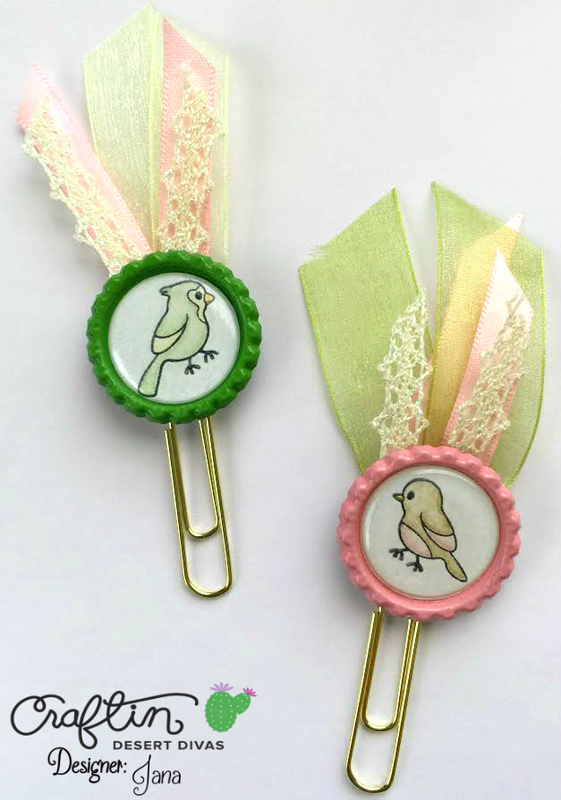 And last but not least, I had to create some sweet spring time planner clips to match. 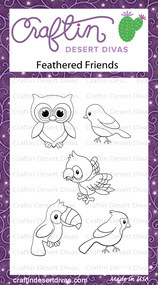 I used two of the smaller sized birds from the Feathered Friends Stamp Set. Once colored, I punched them out using a one inch hole punch, adhered them onto two bottle caps and added clear adhesive rounds to protect and finish them off. I gathered some sheer, satin and lace ribbon from my stash and looped it through my gold jumbo paper clips and added the finished bottle cap. 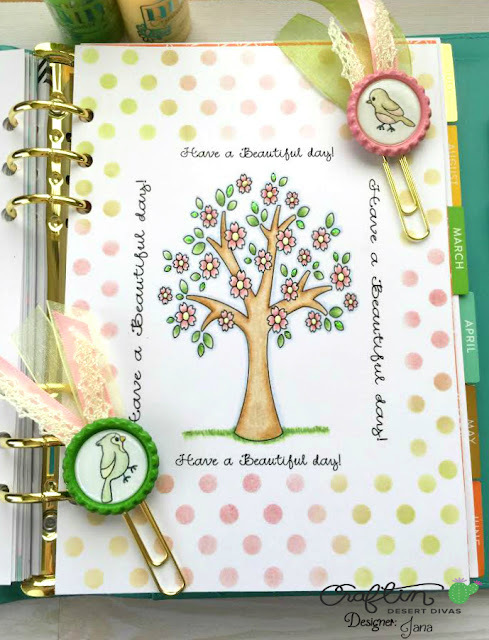 I hope that you enjoyed today's CDD Daily Post and will come back again tomorrow to see more inspiring and fabulous creations from the talented Design Team. 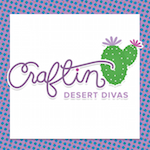 Have a Beautiful (and Fabulously Crafty) Day!!! Beautiful! I love cherry blossom trees!